Monthly Memberships Now Available Here's everything you need to know about the monthly memberships for the site. One of the things that I’ve wanted to introduce on this site for a long time now is a members-only section. I’ve shared a bit about it before, but I’m excited to announce that it’s officially live, accepting registrations finally, and ready for members. But before you sign up or poke around at the various pages about it, I thought it would be helpful to break everything down for those who are interested. Because not only are memberships being offered, but other changes that affect others are, too. Because the price is almost always the number one factor as to if a person is interested, I thought I’d break it down first then share how it will impact those who opt to register and those who opt not to do so. Memberships are $29/mo. At this time, there are no coupon codes, discounts, or anything of that nature. Because of the nature of digital subscriptions and since it’s on a month to month basis, I offer no refunds. Subscriptions are billed each month. You’ll receive an email at least one week before your renewal should you desire to cancel. Finally, all restricted content will be made available only to active members. This means if you cancel your membership, you cancel your access to said content. 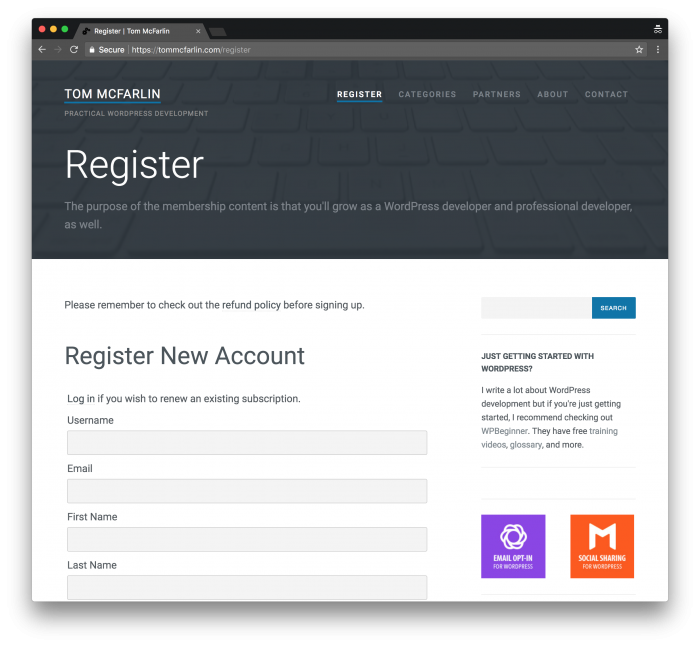 Now, regarding what’s being offered for members: My goal is to provide content, each week, that will cater not only to those who are looking to become better WordPress developers but to those looking to become better developers in general. But this is just the start (as all of the above will take time to cover, as it is). From there, there’s always more to go. Further, many of the posts will be open to comments, unlike the public content that’s provided. 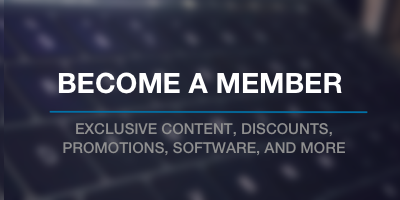 Finally, I’ll be looking to offer exclusive member benefits for software and services over time. With all of that said, if you’re interested in participating, you can sign up on this page (and thank you in advance – I look forward to it). Ultimately, there won’t be much change. I’m going to be removing most of the advertisements on the sidebar save for just a few. I plan to continue blogging weekly, though the amount of public content will be decreased primarily to compensate for those who are paying members. Furthermore, comments will remain off (though I can always be contacted via email and Twitter). Finally, none of the benefits, commenting, or exclusive deals offered to members will be offered to the public. In short, the blog will continue to operate as usual; however, it will have less frequent posts and reduced advertising. I still, however, aim to share content that’s helpful to all readers. Thank you for taking the time to read this and thanks for your support of the site even if you opt not to sign up. Writing about WordPress development has been something that’s become a significant part of my day-to-day, and I never anticipated that happening. I hope that through both free and premium content you’re able to grow both as a WordPress developer and as a programmer in general. As usual, if you have any questions, don’t hesitate to contact me.